Federal Police wiretaps reveal that, during his time as leader of the Brazilian Senate, Renan Calheiros (MDB-AL) talked to Joesley Batista, owner of meatpacking conglomerate JBS, to discuss an appointment to the Ministry of Agriculture, a government department crucial to Batista's business. Folha had access to the phone recordings, in which, for the first time, the senator's voice can be heard during conversations with JBS executives, in a way that denotes that Calheiros and the businessmen were close. The Federal Police made the wiretaps in 2014. In 2017, Batista, along with brother Wesley and five other JBS executives entered a plea deal in which they acknowledged having paid millions of Brazilian reais in kickbacks to several lawmakers, in exchange of advantages for the company. 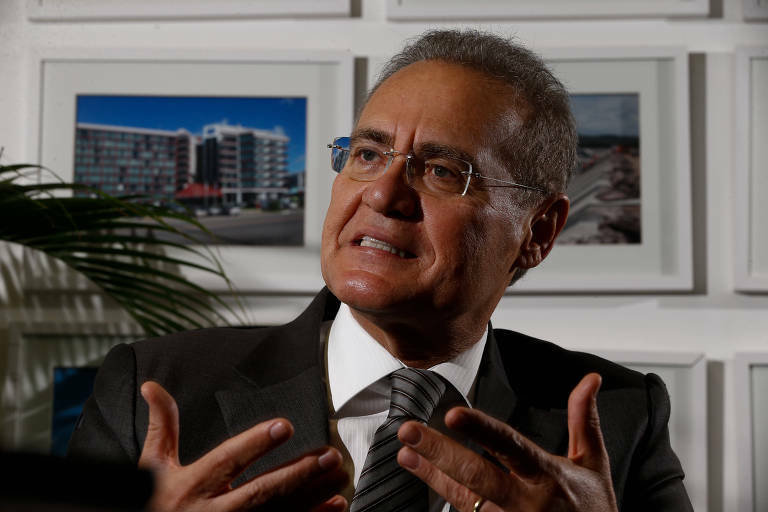 Calheiros, who is again up for election as Senate leader on Friday (1st), is among the politicians cited by the Batista brothers, who say they paid the senator R$ 9.9 million (US$ 2.72 million) as a slush fund. Folha had access to 18 audio files. The wiretap's target was Ricardo Saud, director of institutional relations at JBS, who served as an intermediary between the company and the Brazilian Congress. During one of the phone calls, Calheiros and Joesley Batista celebrate together Dilma Rousseff's 2014 presidential win, moments after the official result was announced.